Looking better than the other 73 DACs you tried? The Italian has arrived in full splendour. I will share more detail later but make no mistake I am smitten. I have not heard all DACs but there has been quite a few in and out the door. Maybe not so many exotics but still some well-regarded products. The Italian's reputation, based on first impressions, is not without substance. Will definitely be well worth a listen. Tonight we listened to the Italian in a different system and also compared it to a very highly respected unit that most people would see as the pinnacle of digital to analogue conversion technology. Biased, maybe but 2 out of 3 who listened had no doubt that the La Scala is a music making a gem. The third listener had some doubt but said that he would prefer the Aqua Dac to listen to music 24 hours a day and use the other unit to listen intently to music for an hour or so when he want to hear into the recording. I am not suggesting that the comparative DAC is not good, it is very good, actually, it is excellent but as an analytical tool. The La Scala has loads of detail but presents it in a coherent whole with flesh on the bones that breath of real music made by real voices or instruments. 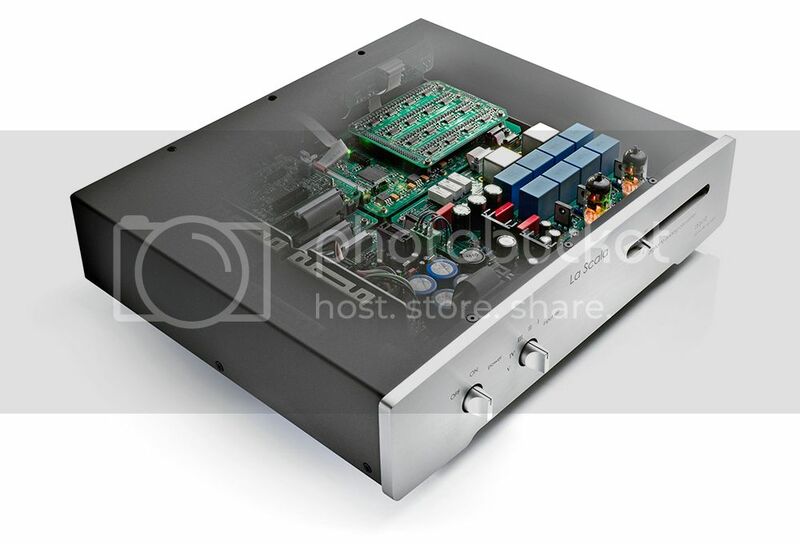 You are welcome guys, the sample DAC is a few weeks(probably 2) with a customer, but if you are in Jhb surroundings we can set up a listening session with pleasure. Hehe,so were you born in Venice,Rome,or Florence,Stefan? Your love for Italian design flair does suggest some Italian blood in those veins! Your showroom must offer a feast for the senses and may lead to withdrawal symptoms and eventual addiction! Quality always inspires confidence, whether on the inside or outside. 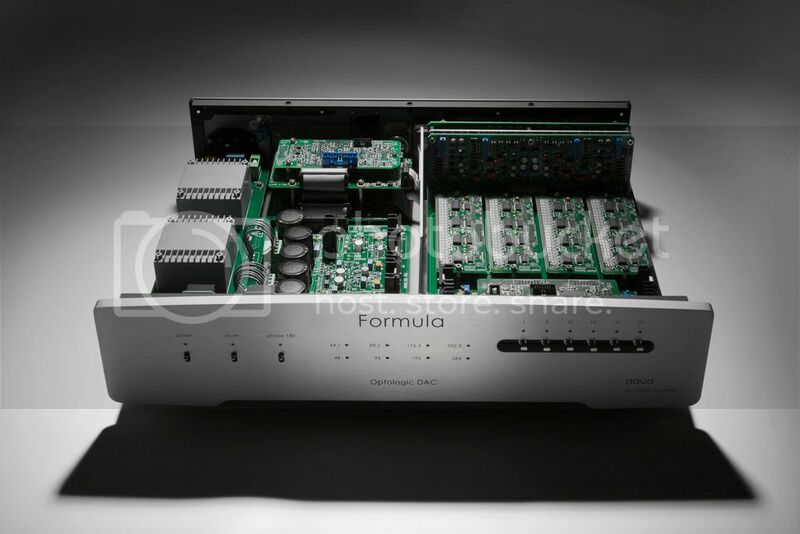 Have a look at these stunning photos of the Aqua Formula and Aqua La Scala MKII, both features High performance proprietary FPGA-based digital decoding. The positive impressions about the Aqua Dacs are from all over. And for good reason; they are supreme DACs. They are more like musical instruments than a box of electronics. This one now caters for those needing a DAC that can play DSD, one couldn't ask for more. Dare I say that these DACs have done away with any need for a TT? Listen to one for a minute and you will want to own one, guaranteed. What is the current line-up of Aqua DACs? Hi Chris, the link shared seems to be on point. As I mentioned in the digital forum, I checked with Italy a few weeks ago and they still have some S2 la Voce units with PCM1704chips in stock. So while it last I still can order S2s. They also still have some AD1865 and TDA1541 boards for the S2 available. I don't know how many units nor for how long it would be available though. However, for all intents and purposes, the S3 has now formally replaced the S2 model. The market response and acceptance of the S3 is so positive that the waiting list is getting longer and longer for units. I ordered an S3 unit last week and it would only be ready to be shipped at the end of August. In the past, the waiting period was about 2 weeks. Yes, thank you. What is the price difference between the various of their models? Hope this helps. If you prefer, you can email me.